Defense and diplomacy are the staple vantage points from which we analyze North Korea and the way Pyongyang’s policies affect the wider Northeast Asian region. In Hard Target Sanctions, Inducements, and the Case of North Korea, Marcus Noland and Stephan Haggard concentrate on the role of sanctions in reaching a nuclear settlement. A hallmark of their book, when set against other sanctions literature, is its focus on how and whether engagement with enemies can mitigate security dilemmas, foster cooperation and even transform states. To help discern both the nature and underlying factors of the effectiveness of sanctions, the authors focus on domestic political economy, problems of coordination and credible commitment problems that emerge vis-à-vis negotiations. The major determining factor in sanctions efficacy, according to Haggard and Noland is the degree to which some states (such as the US) have leverage to impose them, when others (i.e., China) are seeking to engage. In this roundtable review, Sino-NK trades on the expertise of Justin Hastings and Kevin Gray, as well as talent from closer to home, to look in detail at the text. — Anthony Rinna, Senior Editor. Haggard, Stephan and Marcus Noland. Hard Target: Sanctions, Inducements, and the Case of North Korea. Stanford University Press, 2017. 344 pp. ISBN: 9781503600362. Stephan Haggard and Marcus Noland’s new book Hard Target builds on and, in some sense, serves as the culmination of their past work on North Korea’s transition without reform, and what that means for North Korea’s international behavior. Hard Target has been, as they note, a long time coming, but given that all the ‘interesting times’ (as the Chinese curse supposedly goes) in the past five years, both within North Korea, and in other countries as a result of North Korea’s behavior, the wait has resulted in a book that can look at the changes wrought within and by North Korea under both Kim Jong-il and Kim Jong-un. The book as a whole focuses on the effect of inducements and punishments on North Korea’s behavior and finds that while punishment (largely, but not entirely, in the form of sanctions) does not lead to a welcome North Korean response, neither do inducements. North Korea pockets inducements as long as it can control them, and escalates in response to punishments. Haggard and Noland do an admirable job of outlining the coordination problems China, South Korea, and the United States faced, as well as the credibility problems of particularly the United States in being able to give and then maintain inducements for North Korea. As with all good research, Hard Target left me thinking about possible extensions and threads that other researchers might want to pull on in future research. First, data issues are always a concern in any research on North Korea, but Haggard and Noland (rightly, I think) cope by relying on publicly available information: surveys with Chinese and South Korean firms doing business with North Korea, mirror trade statistics, and North Korea’s public statements and behavior during negotiations, confrontations, and crises over the past several decades. Many researchers’ response to the black hole of North Korea has been to rely on defectors’ testimonies, which have their own reliability problems, but Haggard and Noland have shown us that there is actually not an insubstantial amount of information about North Korea out there already, if we have the discernment to ask the right questions and accept the limitations of what is knowable. This is just as well: in my own experience, North Korean officials often do not trust even their own data, so it’s not clear that there is some huge treasure trove of information waiting to be uncovered if only North Korea were more forthcoming to international statistical agencies. Second, an unasked and perhaps unknowable question that would color our assessment of the second nuclear crisis (if it could be answered) is whether North Korea has actually been willing to give up its nuclear weapons, even in theory, at any time since 2001. If there was never any possibility of denuclearization (which is separate from North Korea’s full-on campaign for more sophisticated nuclear weapons and delivery systems for the past several years), then one wonders how much of the back and forth about inducements versus punishments has actually mattered. As the book makes clear, if denuclearization is not on the table, then inducements in particular amount to attempts to get North Korea to slow down its provocations or come to the table for talks. On the other hand, if there was ever a point in time where North Korea might have denuclearized (or not have gone nuclear in the first place), it would be useful to match North Korea’s negotiating behavior to that juncture. Third, the book touches on North Korean domestic politics, and notes that the internal pressures and machinations in the North Korean state are key to understanding North Korea’s behavior. Given the data sources to which the authors had access, it is not surprising that they are unable to say much about what was going inside North Korea in determining the country’s response to inducements or punishments. This is unfortunate since much of North Korea’s behavior is, at first glance, perplexing. At times, such as with the 2012 Leap Year agreement and the satellite launch soon afterwards, it seems as if North Korea is operating at cross-purposes with own goals. Many of these sudden and unexpected changes in policy and negotiating stances could probably be explained by domestic factors — shifting coalitions within the state, deep ambivalence by the leadership, or simply changing facts on the ground. One always wonders if, in dealing with North Korea, outsiders tend to overestimate the importance of whatever the US or South Korea or China do simply because that’s what can be seen. Fourth, running through the book is a narrative of control: how much the state (or more specifically the top leadership) actually has, over what, and when the state makes decisions so as to maximize its control. 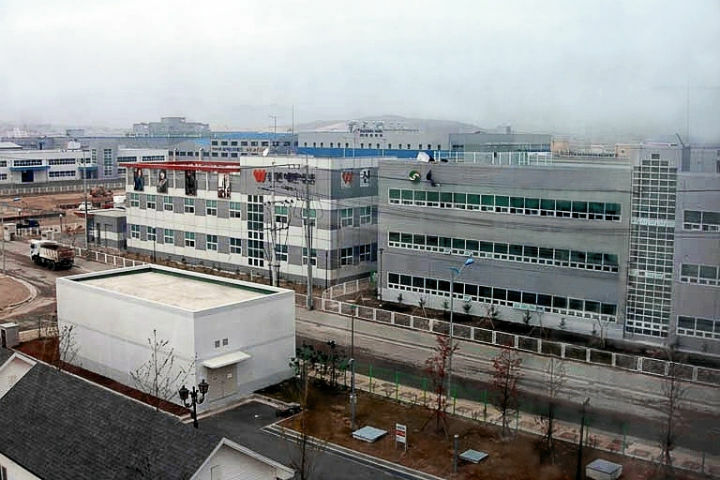 The Kaesong Industrial Complex, and later movements toward special economic regions, suggest North Korean interest in experimenting with, but also containing, foreign investment and economic development. Likewise, one of the points Haggard and Noland make with regard to North Korean behavior is that it rarely made concessions that could not be easily reversed or that the central state could not control. At times the North Korean state even appeared willing to give up inducements if it could not control the outcomes – the complications around food aid monitoring are a testament to this. At the same time, one open question is how much the North Korean state does control. North Korea’s changing political economy, about which Haggard and Noland’s 2007 book is one of the best sources, is a testament to how much control the state has lost. It is not clear, for instance, that the roll-back of market activities from 2005 onward, culminating in the 2009 currency reform, really did all that much to bring North Korean economic activity into the direct control of the state. Instead, the North Korean state has been forced to accommodate private and semi-private business. Although it profits indirectly from the surge in economic activity outside the state, it does not control them directly. It may be that the North Korean leadership bargains so hard for control of revenue streams and aid in negotiations with other states partly because it controls so little of what happens on the ground in North Korea itself. As anyone familiar with the North Korean nuclear issue will know, the policy debate as well as academic literature on the topic is divided between those who advocate a policy of sanctions as a means of either bringing Pyongyang to the negotiating table or inducing regime change, and those who believe that engagement is likely to be more effective in taming the country’s nuclear ambitions and encouraging a more peaceful path of economic reform and integration with the world economy. 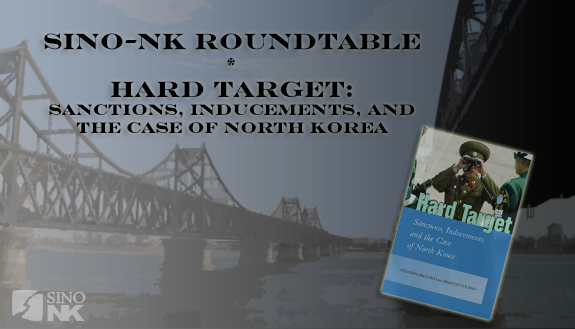 In this context, Haggard and Noland’s new book Hard Target: Sanctions, Inducements, and the Case of North Korea provides a balanced in-depth critical engagement with both sides of the debate through examining the actual record of both sanctions and inducements in encouraging change in North Korea’s nuclear policy and in transforming the country’s political economy more broadly. The fact that sanctions have not worked may not come as a surprise to many, given North Korea’s continued defiance of United Nations Security Council resolutions through repeated nuclear and missile tests. It is fairly self-evident that the US strategy to contain North Korea via sanctions has been undermined due to the fact that China and at times South Korea have pursued strategies of engagement. Yet, through an in-depth analysis of the vicissitudes of negotiations surrounding North Koreans nuclear programme since the first nuclear crisis in the 1990s, Haggard and Noland lucidly argue that when the US has offered inducements, these have also largely failed due to problems surrounding credibility and sequencing. That is to say that both the US and North Korea have unsurprisingly insisted on prior conditional concessions on the key issues they regard as the more important. For North Korea, security guarantees and aid are seen as prior conditions for subsequent moves towards denuclearization, whereas the US insists on the reverse sequences of steps. Furthermore, the history of failed agreements has led to a decline in mutual trust that make further breakthroughs seem more and more remote. These insights may not come as a surprise to those familiar with the broader theoretical debates around sanctions. With regards to the coordination problem, Bryan Early has recently argued in a full length monograph that sanctions are frequently undermined due to difficulties involved in getting all concerned countries to enforce the measures.1)Bryan R. Early, Busted Sanctions: Explaining Why Economic Sanctions Fail (Stanford, CA: Stanford UP, 2015). The role of Dubai in Iranian sanctions busting is a key instance of this. Furthermore, Hubauer et al’s classic study of international sanctions argued that the efficacy of sanctions is frequently undermined in the following conditions: when sanctions include overly ambitious goals such as seeking a change in a major policy pursued by the target state; when the target state is an adversary rather than friendly to the sender state; when the target state is autocratic rather than democratic; when sanctions are gradually tightened over a long period of time. The case of sanctions against North Korea meets all of these conditions. In fact, as Haggard and Noland have shown, far from tempering North Korea’s nuclear ambitions, sanctions have mainly serve to invite escalatory responses from Pyongyang. 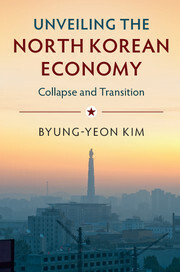 However, a more significant contribution of Haggard and Noland’s book is to move beyond the immediacy of quid pro quo negotiations to examine the transformatory capacity of engagement, particularly with regards to the nature of the North Korean political economy and on its mode of integration with the broader regional economy. A key finding in this regard is that despite years of Chinese and South Korean economic engagement, the North Korean investment environment remains extraordinarily weak. This argument is based empirically on surveys of both Chinese and South Korean firms which suggests largely negative opinions amongst investors regarding key aspects of the investment environment in North Korea, such as the inadequate infrastructure, the policy environment, changing regulations, the nature of those regulations, and the threat of expropriation. However, the fact that the Chinese survey was carried out a decade ago in 2007 is somewhat problematic, especially given the relative importance of China’s economic engagement with North Korea and the rapid changes that have taken place in the North Korean economy over the past decade. The findings contrast with Byung-Yeon Kim’s survey of Chinese firms carried out in 2012-2013, which found that 62.5 percent of Chinese firms had seen improvements in the degree to which North Korean firms had adhered to contracts in the past five years, whereas only 2 percent of firms surveyed thought that adherence to contracts had worsened.2)Kim Byung-yeon, Unveiling the North Korean Economy: Collapse and Transition (Cambridge: Cambridge UP, 2017). Furthermore, Chinese firms investing in North Korea, as opposed to those simply engaged in trade, were more likely to give a positive response. Clearly, there is much we don’t know about the impact of economic engagement on North Korea, but at the very least, this more recent research suggests that the argument that engagement has had no transformative effect might need revisiting. Haggard and Noland also argue that trade and investment related rents are likely to be captured by state entities, given the regime’s monopolization of foreign trading rights. Yet, this assertion seems to be more a reflection of liberal economic theory’s ontological separation of ‘state’ and ‘market’ alongside a failure to fully consider the implications of marketisation in contemporary North Korea. In reality, there is no clear demarcation between state and market in the country (or indeed anywhere else). 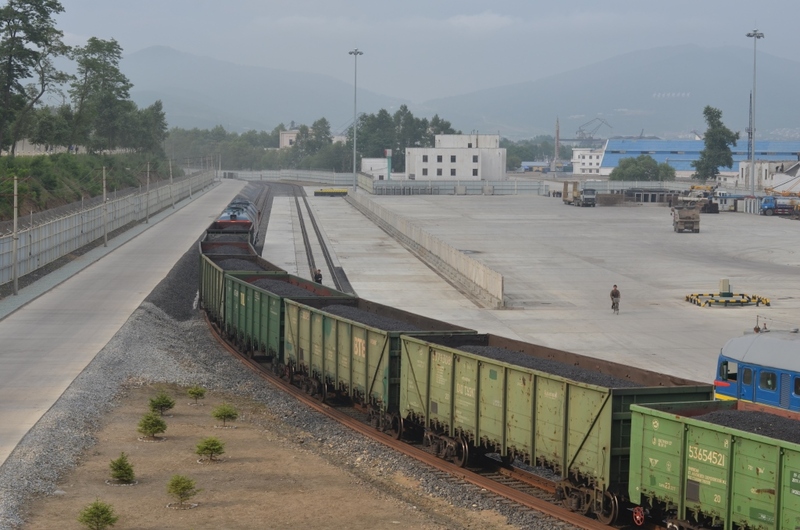 Foreign trade in North Korea is increasingly characterised by the emergence of hybrid trading networks whereby private financiers have established partnerships with state officials. What may appear to be a state-owned enterprise may in fact be a case of private financiers negotiating the lack of private property rights through “wearing the red cap,” so to speak. Given these trends, it is increasingly difficult to think of market activity in North Korea in which the income from foreign trade are captured by ‘the state’ alone. Perhaps the most disappointing aspect of Haggard and Noland’s book, however, is to be found in their policy-related conclusions. Given the manifest ineffectiveness of both sanctions and inducements, the authors call for the need to “manage expectations” while holding out hope for some process of internal change within North Korea (though this is seen as unlikely). It is indeed the case that if the primary policy objective is denuclearisation, then options appear limited. However, Haggard and Noland have relatively little to say about how sanctions and inducement may affect livelihoods in North Korea. Trade and investment with China may not have ‘worked’ in terms of inducing the regime to abandon nuclear weapons, but the possibility that growing levels of external trade with China may have had a positive impact on the livelihoods of North Koreans should at least be entertained as a hypothesis. This question is more pressing given that recent UN sanctions in 2017 have sought to target key elements of the cross-border economy with potentially deleterious impacts of livelihood. If, as the authors argue, North Korea’s pursuit of nuclear weapons is unlikely to be swayed by either sanctions or inducement, then there is arguably no cost to assessing such approaches by a different set of standards, namely the actual and potential humanitarian impact of sanctions versus engagement. Given the death of half a million Iraqi children in the 1990s as a result of sanctions against a “hard target,” this is not simply a theoretical question. These shortcomings notwithstanding, the book’s achievements are significant. It effectively argues that in addition to what Johan Galtung referred to as a “naïve theory of sanctions”, there is also a “naïve theory of engagement”, particularly in relation to North Korea. As such, the book takes the existing debate forward through presenting arguments that both advocates of sanctions and engagement need to seriously grapple with. Stephan Haggard and Marcus Noland’s Hard Target provides thorough insight into how North Korea’s political economy as well as policy coordination with other states over sanctions affects the effectiveness of sanctions laid against the Pyongyang government. More specifically, it covers how engagement can potentially affect change and continuity in the Kim regime. The authors have used the phrase “hard target” to describe North Korea because of the totalitarian nature of the DPRK’s political system. One of the fundamental arguments in Hard Target is that sanctions have had limited success because countries pursuing sanctions against North Korea have had limited leverage over the DPRK, particularly against the backdrop of countries that wish to engage Pyongyang economically. Furthermore, because the powers in Pyongyang can exact demands from their citizens in order to stay in power, Haggard and Noland argue, sanctions only work under specific circumstances. Haggard and Noland have employed painstakingly thorough methodological tools to argue their points, and employ ample graphs and numeric representations. The data presented in these visual aids do an excellent job of breaking down the fundamentals of their arguments, especially when comparing the diverse hosts of actors covered in their treatment of engagement and sanctions. From a qualitative standpoint, the authors are careful to keep their focus on the economic interplay between North Korea and its neighbors. Even while accounting for US policies and Washington’s role in the question of engagement, Hard Target avoids excessive concentration on questions of high politics between diplomats, instead keeping the reader grounded in a refreshingly region-specific analytical framework. When contextualizing North Korea’s trade relations with other states in Northeast Asia, Haggard and Noland concentrate their analysis primarily on China and South Korea. There is merit in focusing primarily on China and the Republic of Korea. In addition to the fact that China is North Korea’s largest trading partner, the authors assert that Chinese firms often engaged in trade with North Korea for the sake of economic benefits, despite the highly politicized nature of Sino-North Korean commercial exchange. Also, citing the gravity model of trade, the authors assert that, despite the current sanctions regime and peninsula division, South Korea is a much more natural trading partner for North Korea than China is. Even as Haggard and Noland’s volume maintains its focus on the DPRK’s commercial ties with China and South Korea, Hard Target does not fail to account for the problems of coordination between countries over sanctions against North Korea. The author’s interweave their argument on political economy with cases and examples of how differences between different national capitals have frustrated attempts at imposing and enforcing sanctions. The authors also deftly manage to buttress their arguments on the role of sanctions and engagement in the context of North Korea’s regional economic relationships with developments in Pyongyang’s internal politics, such as the growth of the North Korean armed forces’ political power around the time of Kim Il-sung’s death. As Haggard and Noland’s volume is a multifaceted and profound treatise on the effectiveness of sanctions against North Korea in light of issues such as engagement and coordination, it is understandable that the authors omitted certain issues from substantial discussion for the sake of staying focused on the topic at hand. Conspicuous by its absence, however, is any substantial analysis of Russia’s role in North Korea-related sanctions in the Northeast Asian context. This is somewhat surprising given Russia’s rising role in affecting the outcome of sanctions against the DPRK, as well as Moscow’s increased engagement with Pyongyang. The authors do briefly mention the fluctuation in DPRK-Russia ties since before the end of the Cold War, and they do correctly assert that restraints Russia faces, such as the unhealthy state of its national economy, will likely keep economic ties between Moscow and Pyongyang in check. Furthermore, to be fair, the DPRK’s trade with Russia is, while growing, still minimal compared with the China-North Korea trade volume. Granting Russia greater coverage may have helped strengthen the authors’ arguments on the divide between sanctions and engagement even more. More coverage of the Russian Federation’s role in the question of engagement versus sanctions could have, for example, strengthened the authors’ arguments on the difficulty of multilateral coordination, insofar as Moscow has tended to take Beijing’s side on the engagement-sanctions divide more than it has supported Washington’s stance. In the text, there are a few specific cases where coverage of DPRK-Russia ties vis-à-vis sanctions helps to clarify issues in the effectiveness of sanctions. Hard Target, for example, notes how the Russian government took a relatively narrow view on what constitutes “luxury goods” as North Korea was banned from selling luxury items. This, consequently, allowed North Korea to continue selling products to Russia that other countries considered to have been part of the sanctions on luxury items. Yet by not granting Russia more considerations, the authors potentially miss an opportunity to discuss other item-specific aspects of sanctions, such as coal and North Korean laborers abroad, in which both China and Russia are heavily involved. Despite the lack of coverage of Russia’s role in the questions of engagement with and sanctions against the DPRK, Hard Target deftly navigates an incredibly complex issue, and tackles it from a variety of angles. Within the scope of the book’s coverage, Haggard and Noland tackle questions of engagement and sanctions from multiple vantage points, but at no point in their work do they fail to provide thorough and rigorous analysis in particular of how China and South Korea’s policies toward the DPRK affect sanctions. This book is a must-read for all those seeking a multifaceted approach to North Korea sanctions from a political economy perspective. 1. 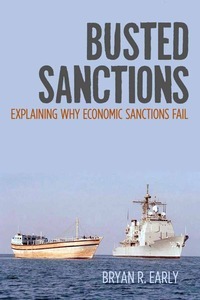 ↑ Bryan R. Early, Busted Sanctions: Explaining Why Economic Sanctions Fail (Stanford, CA: Stanford UP, 2015). 2. ↑ Kim Byung-yeon, Unveiling the North Korean Economy: Collapse and Transition (Cambridge: Cambridge UP, 2017).